Review: Malmo's Per Hammar returns and inaugurates new imprint 10 Years Records. 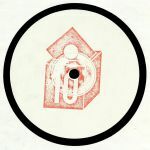 The Dirty Hands boss employs more deep house of the nubbier persuasion on "The Expedition For Mrs Gustavsson". This is without a doubt one the most curious track titles of 2017 thus far and will appeal to fans of the Samuel Andre Madsen sound. On the flip it is over to Fellow swede Maya Lourenco aka Parallax Deep with "Periscope" The artist formerly known as Lumieux and has appeared on Klasse Wrecks and 12-3 and continues on with the underwater aesthetic: diving deeper and employing some rolling lo-end dynamics to impressive effect also. Review: There are only 250 of these around, so act fast if you want to secure a copy of Maya Lourenco's latest outing as Parallax Deep. 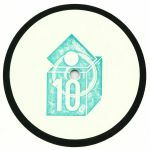 It comes on 10YEARS, a label whose last release - way back in 2016 - boasted the Swedish producer's debut track, "Periscope". First up is "Intercept", a slick but robotic tech-house box jam with hypnotic tendencies, before Lourenco treads a deeper, more bass-heavy path on the smooth late night shuffle of "Decending" [sic]. Over on the flipside, old pal Per Hammar delivers a darker, heavier and more muscular "variant" of "Intercept", before our hero rounds things off with the beguiling, Pete Namlook style deep space ambience of "Drifting".